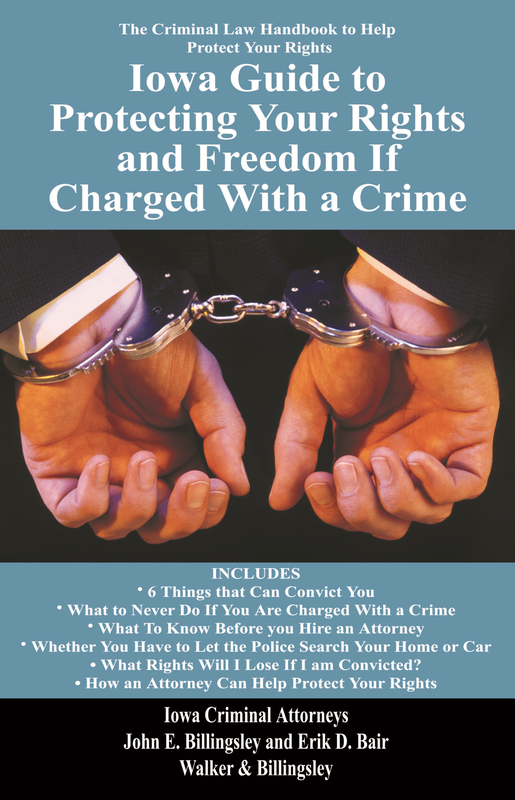 We have heard too many horror stories about people making mistakes because they did not know their legal rights which resulted in them losing thousands of dollars or in some cases their freedom. We believe that many legal disputes could be avoided if people knew more about the legal system, their rights and the laws that affect them. 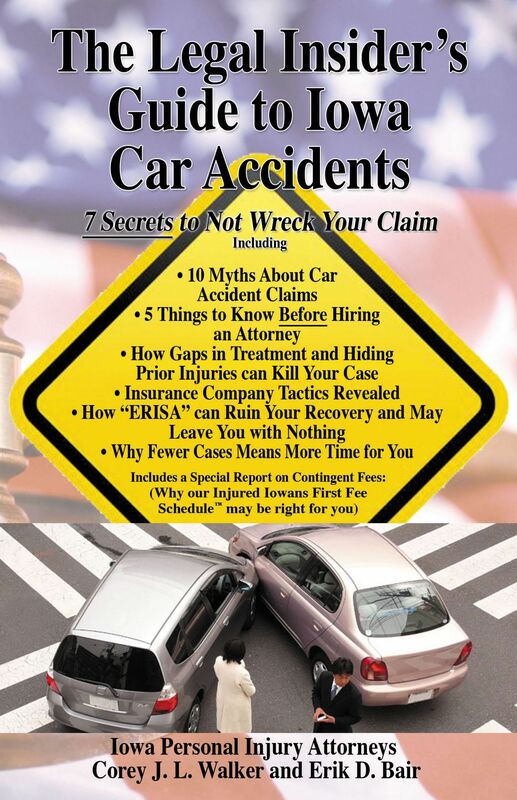 Most attorneys require people to make an appointment in order to get some of the information that we have provided in our books. 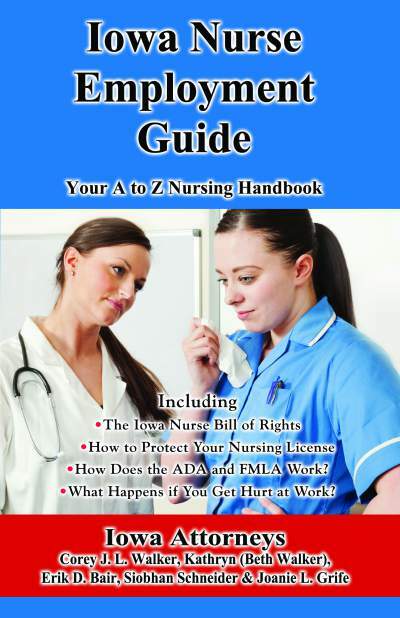 We believe that you should be able to have this information when you need it without any pressure. Frankly, this method of talking to you also saves us time. 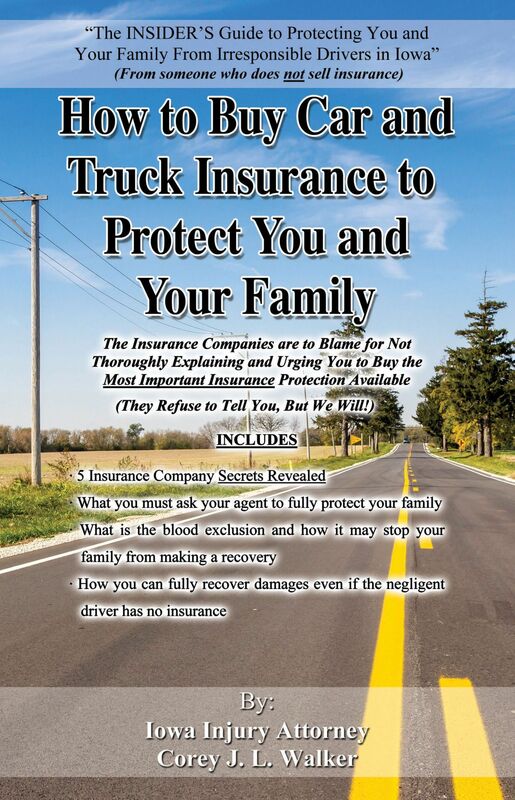 We've packed a ton of information into this book and it saves us the hours of time that it would take each day just to talk to all of the new potential clients who call our office. 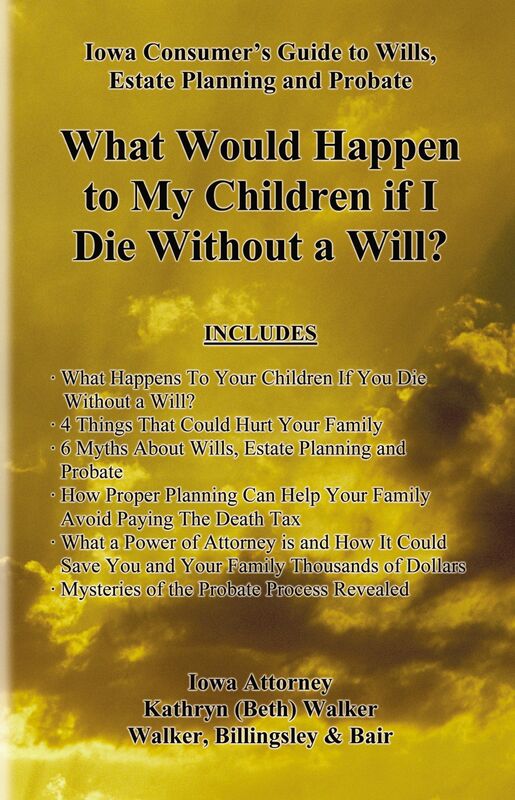 So, rather than cut you short on the phone, writing these books gives us a chance to tell you what you need to know so that you can make an informed decision about what steps to take with your legal situation. Even if we do not accept your case, we would like you to be educated about the process so that you don't make a costly mistake. 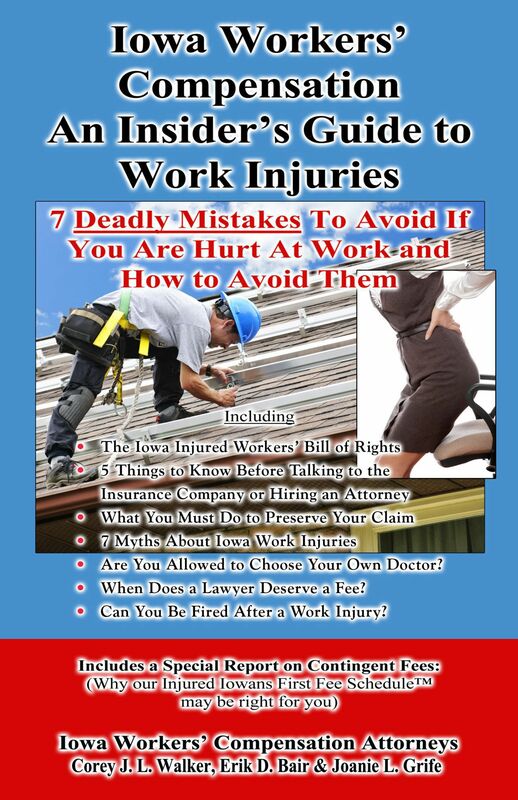 "Iowa Workers' Compensation - An Insider's Guide to Work Injuries, 7 Deadly Mistakes to Avoid If You Are Hurt At Work Exposed." 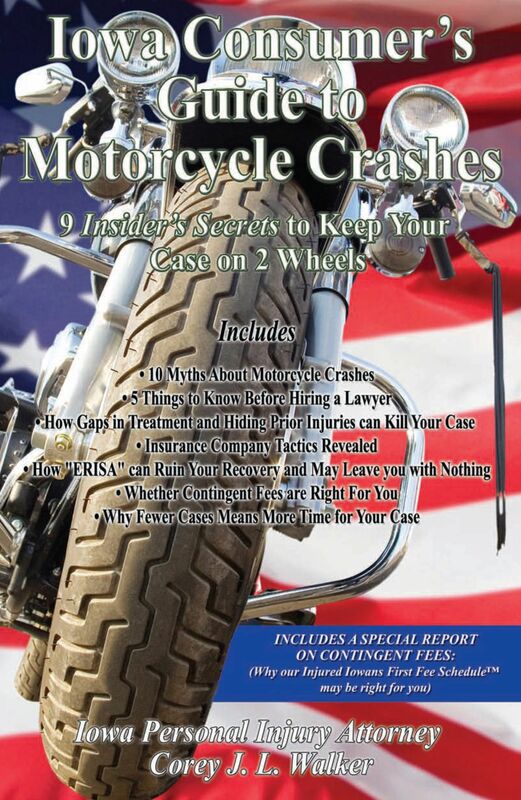 "The Legal Insider's Guide to Iowa Car Accidents, 7 Secrets to Not Wreck Your Case Revealed." 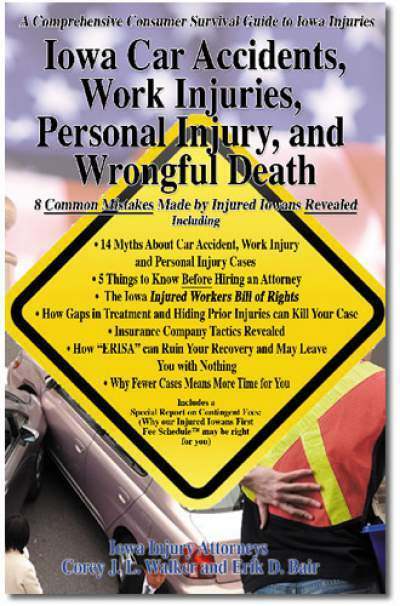 "Iowa Comprehensive Injury Guide - Covering Car Accidents, Work Injuries, Personal Injury & Wrongful Death Including - 8 Common Mistakes Make by Injured Iowans Revealed"
"Iowa Consumer's Guide to Motorcycle Crashes"
"Iowa Consumer's Guide to Dog Bites"
"How To Buy Car and Truck Insurance to Protect You and Your Family"
"Iowa Nurse Employment Guide: Your A to Z Nursing Handbook"
"What Would Happen to My Children if I Die Without a Will"
"Iowa Guide to Protecting Your Rights and Freedom If Charged with a Crime, includes 6 Things that Can Convict You."